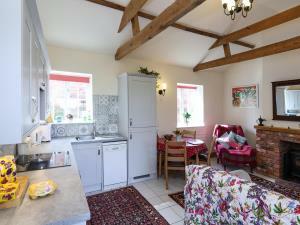 Thorganby Farm Cottages01904 449653work Self-cateringNewly converted single storey barn conversions. Luxury accommodation in a tranquil setting with scenic views in the Lower Derwent Valley and is a fantastic spot for bird watching. Lovely walks can be had close by and the property is also close to a traditional real ale pub on the river. The location is good for fishing, golf, shopping (at the York Designer Outlet). Stables and grazing are available next to off road hacking.